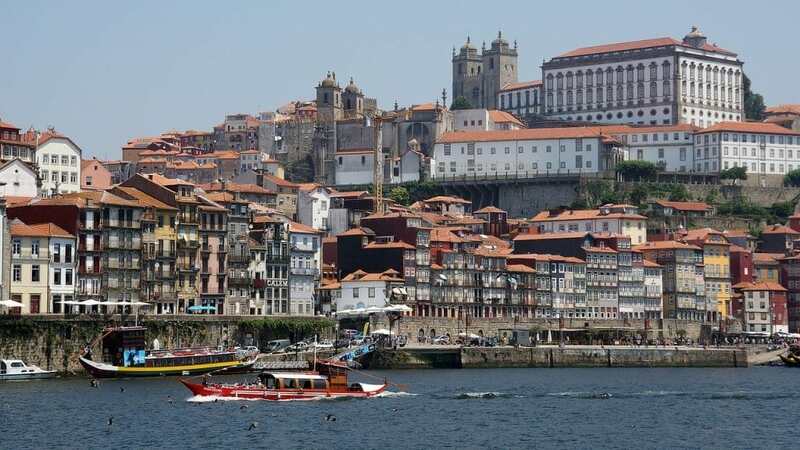 Porto, the second largest city in sunny Portugal, is the perfect place for a short city break in Europe as its city center is rather compact and all the monuments are close by. 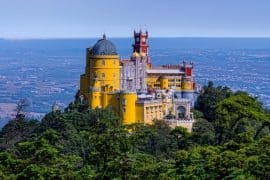 Therefore, I decided to write this detailed guide on how to spend 2 days in Porto to make sure that you make the most of your time in my beautiful hometown. I hope you enjoy it! 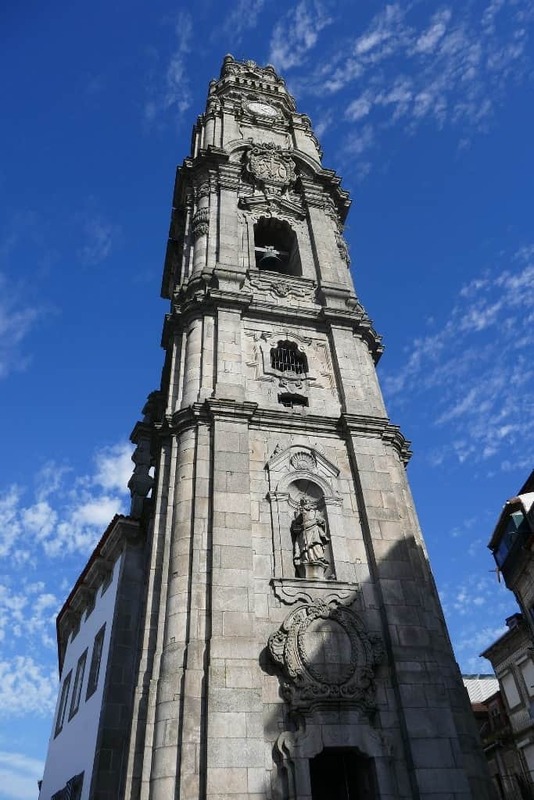 The Clérigos tower was considered the most famous building in Porto(until Casa da Música was inaugurated, in 2005). 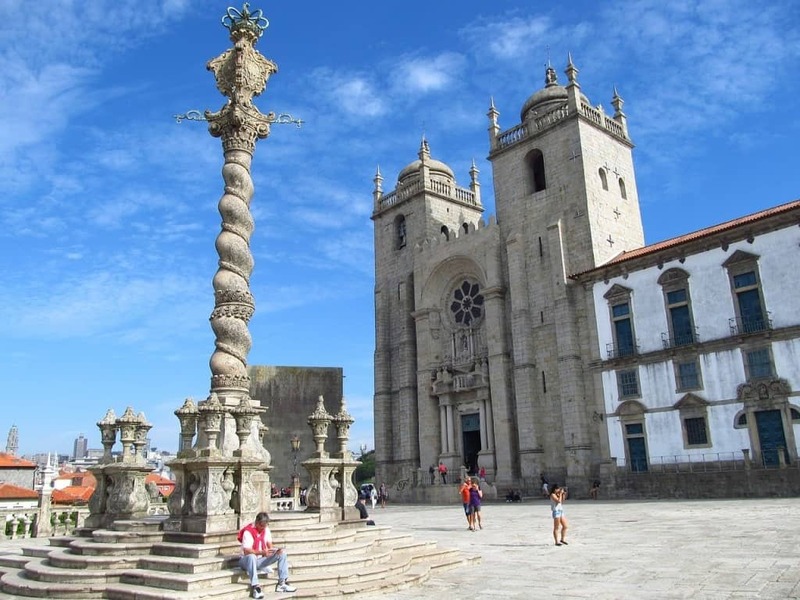 No wonder: its unusual structure in the form of a pendant (due to the slope of the terrain it was only possible to build a single tower on this church, unlike any other church in the world), combined with a baroque façade of stunning beauty earned it the interest of thousands of visitors. My recommendation is to take the time not only to climb all the way to the top of theClérigos tower (it’s only 225, nothing too much!) 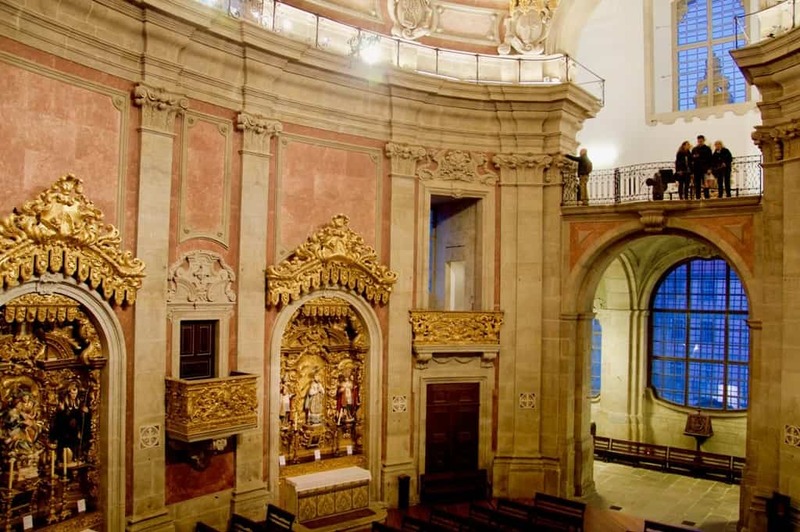 but also to check the interior of the church itself, decorated in pink marble and Portuguese golden leaf. 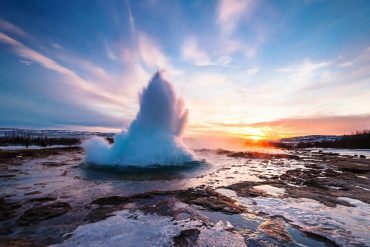 It’s stunning! 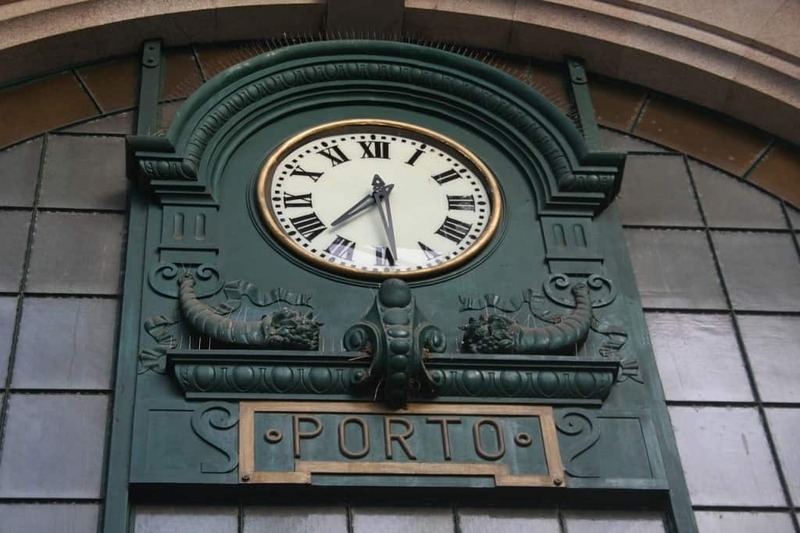 São Bento train station was built over a hundred years ago and it is still very famous today due to the 20.000 hand-painted tiles that decorate its walls. It is definitely worth it to take some time to admire these tiles that represent historic moments as well as the daily life routines of Northern Portugal. Make sure to check the beautiful iron clock on the wall as well. There are plenty of nice coffee shops in Porto but Café Majestic is special. After all, it’s not every day that you get to have a coffee sitting at an art nouveau café that dates back from the crazy 20’s, right after the end of the WWI. My recommendation? Go for an abatanado (the Portuguese word for the large American coffee!) together with a rabanada (similar to a French toast but served with egg cream and pine nuts on top). It’s delicious! Porto might not be a fashion capital like Paris or Milan but it certainly has its attractiveness when it comes to do street shopping. There’s a “store for everyone”, from traditional Portuguese grocery stores (they’re perfect for food shopping! ), fashion stores from young designers and concept stores for those of you who like to buy unusual gifts with a modern twist. 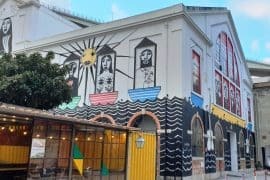 You can get a quick start on your shopping afternoon by reading my guide on best shops in Porto. 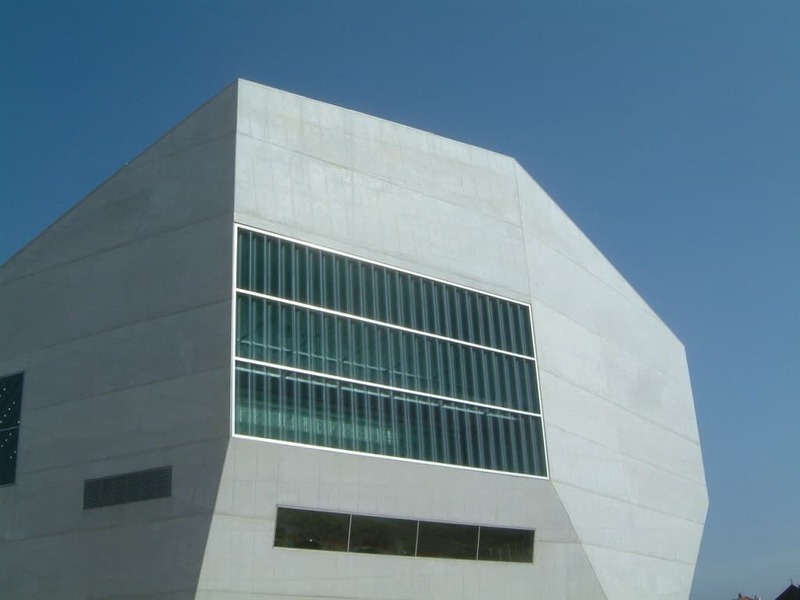 Casa da Música, designed by the Dutch architect Rem Koolhas, is one of the most beautiful contemporary buildings in Porto. There are paid tours inside the building that you can take on any day of the week (and they are quite well structured and informative), but I think that the best way to experience the building is to simply get a ticket to one of the eclectic music shows that take place there. You can check the schedule here. If I had to pick one thing that made Porto an internationally acclaimed city it would have to be the Port wine. After all, it’s not every city or even country that is famous for producing wines that were appreciated by queens and world leaders like Winston Churchill. 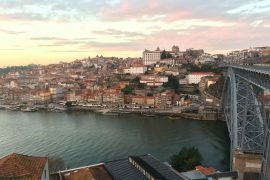 In Porto you can find more than a dozen Port wine lodges that represent some of the most well-known brands of this beverage: Graham’s, Taylor’s, Sandeman, Ferrerinha, etc. 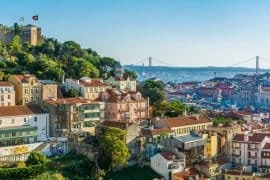 Each one of them is unique in its own style, but you can read my guide on the best Port wine lodges in Porto to decide which one would better suit you. I cannot lie to you: taking the 6 bridges cruise is definitely one of the most touristy things to do in Porto. But it doesn’t mean it’s a bad activity, quite the contrary! 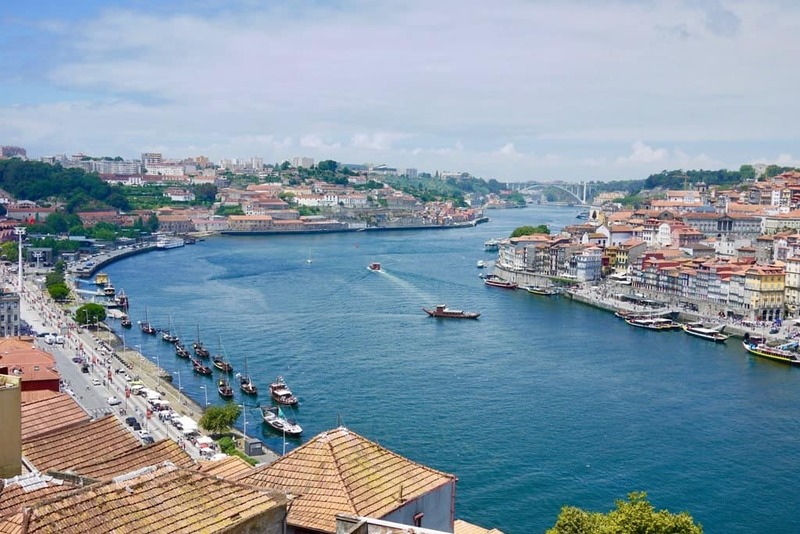 Being able to see the six bridges of Porto and to appreciate the facades of the picturesque Ribeira neighborhood from the middle of the Douro river is quite a pleasant activity, especially for families with kids or for senior travelers. 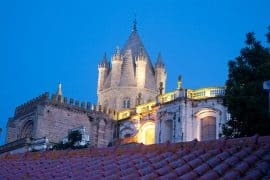 Here’s one of my favorite things to do in Porto! Luiz I bridge is mistakenly thought to have been built by Gustave Eiffel, the same engineer that designed the Eiffel tower in Paris. 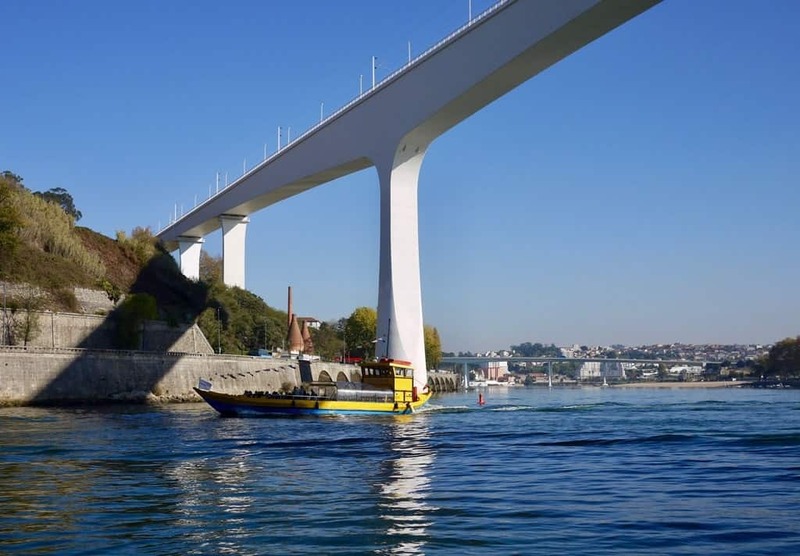 But in fact, it was a former partner of his – ThéophileSeyrig – who designed this stunning double-deck iron bridge that separates Porto from Gaia (the city where the Port wine lodges are located). You can walk both the upper and the lower decks of Luiz I bridge, but to get some stunning photos of the landscape I would certainly recommend you to walk on the upper deck. (It’s windy though so make sure you bring a scarf!). 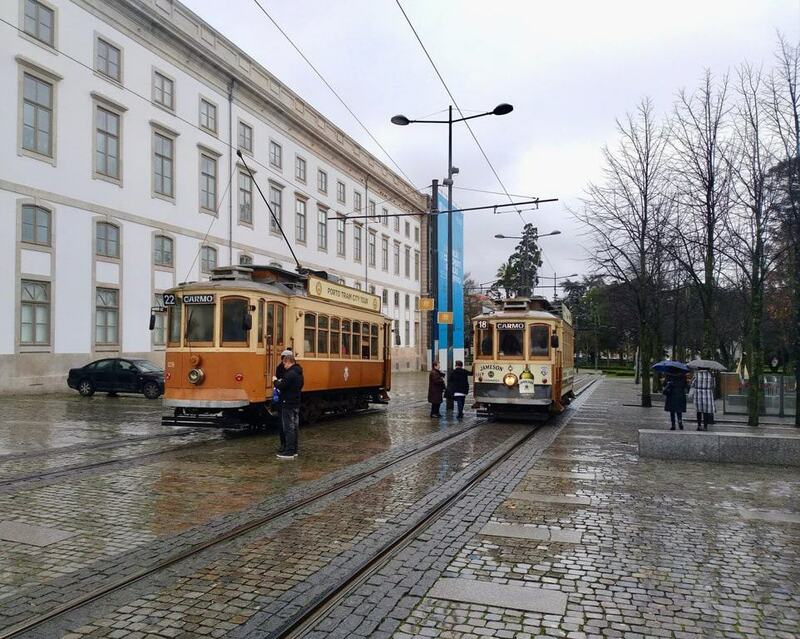 There are few cities in Europe with historical tram lines as the ones that exist in Porto. They were almost irremediably gone but a few years ago the City Hall did a heroic effort to reconstruct three of the most beautiful lines. My favorite one rides from the gothic St Francis church to Felgueiras lighthouse, all the way riverside. You can get the tickets on board. Metro: There is a direct connection between the airport and the city centre with the Line E (purple). The metro runs every 20 to 30 minutes. It will take you 25 minutes to get to the city centre and a one way ticket costs 2,45 €. Bus: There are a couple of buses that connect the airport with the city center like bus No 120 that runs every 30 to 40 minutes and takes 30 minutes to get to the city center. One way tickets cost around 2 €. Private Transfer/Taxi: The easiest and most convenient way to get to and from the Porto airport is a private transfer. Welcome pickups charge the same as a taxi, but the driver will be waiting for you in the arrivals hall, he will give you a bottle of water and a map of the city and will be able to provide you with local information. It will take you 20 minutes to get to your hotel in the city center and the cost is 24 € for up to 4 passengers traveling together. Located in the União de Freguesias do Centro area of Porto, this hotel offers basic clean rooms with air-condition, free wi-fi and cable TV. This elegant 4-star recently renovated hotel is housed in a landmark building known as Bolsa do Pescado located on the waterfront. It offers elegant rooms with air-conditioning, free Wi-Fi, and mini bar. This recently renovated hotel in the heart of Porto offers modern rooms with free wi-fi, air-conditioning, satellite TV and mini bar. 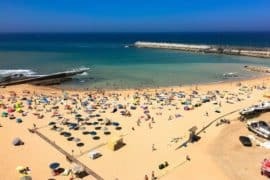 It also has a rooftop bar offering panoramic views and a restaurant serving tradditional portoguese cuisine. About the author: Sara Riobom is a Portuguese blogger at Portoalities, a blog about Porto and Northern Portugal. She shelved her degree in Engineering and quit her well paid job at a consulting firm to follow her passion of writing and telling stories. Contrary to just about everyone else’s expectations, this turned out to be a great idea. Nowadays Sara is a professional in the most Portuguese of all hobbies: being a good host. 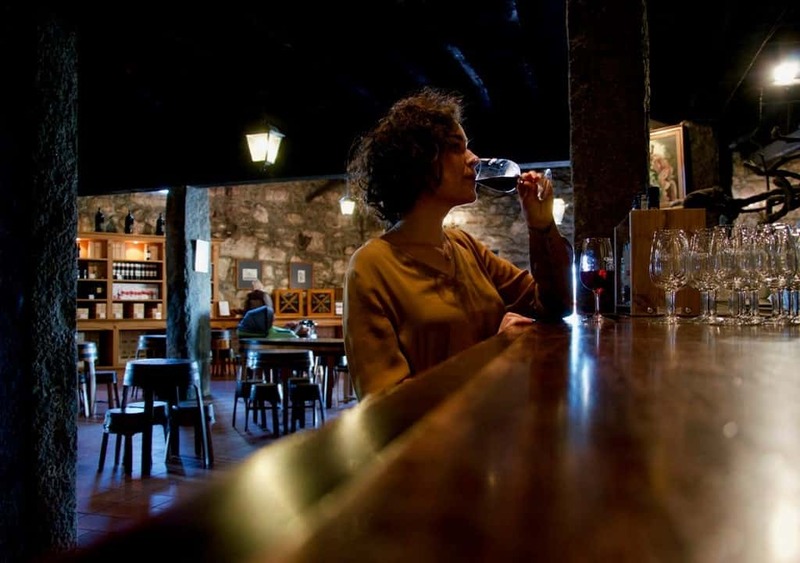 When she is not showing around Porto, Douro Valley, Braga and Guimarães, you can find her playing with her crazy cat, learning more about wine or happily arguing about cinema and literature. You can follow her latest adventures on Facebook and on Pinterest.